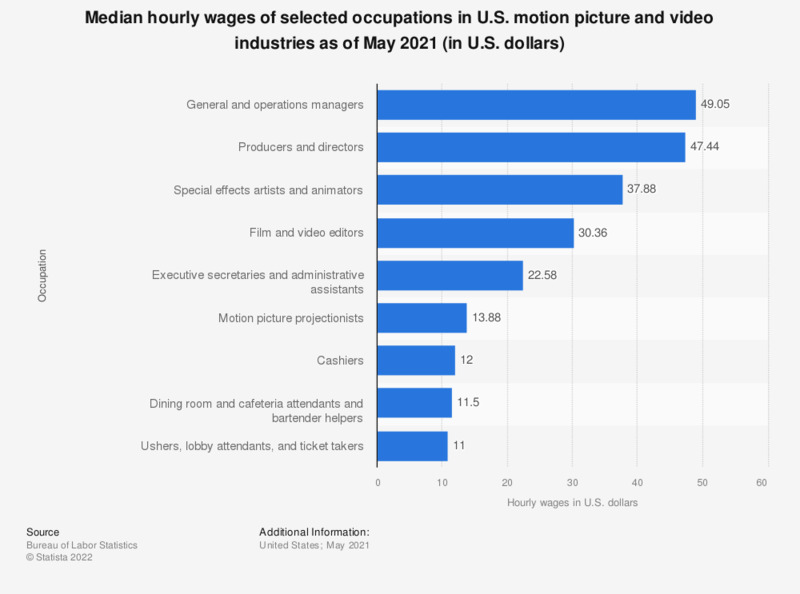 The statistic shows the median hourly wages of the largest occupations in U.S. motion picture and video industries as of May 2018. At that time, the median hourly wage of producers and directors was 40.75 U.S. dollars, whereas for film and video editors the median hourly wage amounted to 32.37 dollars. Median hourly wage is the estimated 50th percentile of the distribution of wages based on data collected from employers that industry; 50 percent of workers in an occupation earn less than the median wage, and 50 percent earn more than the median wage.